Global Education Center’s longest running and most successful program has been and continues to be Passport to Understanding, an interactive school outreach program offered both on-site at the Global Education Center and off-site at local schools or educational centers. Our interactive cultural presentations are the backbone of the Passport to Understanding program at the Global Education Center. These presentations involve a proactive, arts-based approach to multicultural education that is designed for children aged three through middle school to help build cultural sensitivity, awareness, understanding and respect within the diverse classrooms of today. Relying heavily on the arts of different cultures, these presentations help foster an awareness of the similarity of all basic human needs common to all members of the human family - the need for food, clothing, shelter and recreation and for love, laughter, respect and acceptance. Using poetry and literature, storytelling and drama, music and dance, fine art, folk art and artifacts, these explanations help to promote, in an active hands-on fashion, global awareness and concern, respect for the individual and for all people, and an understanding that fairness and justice are basic human rights for all. For more information about Global Education Center Interactive Cultural Museums for your school, learning center or community organization, please click here. ​Global Education Center has a diverse roster of performing artists available for in- school assembly performances. These performances incorporate music, movement and narration that engages students in multicultural experiences that showcase our commonalities, stimulating introspection and cross-cultural dialogue. Whether the group is big or small, Global Education Center guarantees an interactive immersion into the cultures of the World. For more information about Global Education Center assembly performances for your school, learning center or community organization, please click here. 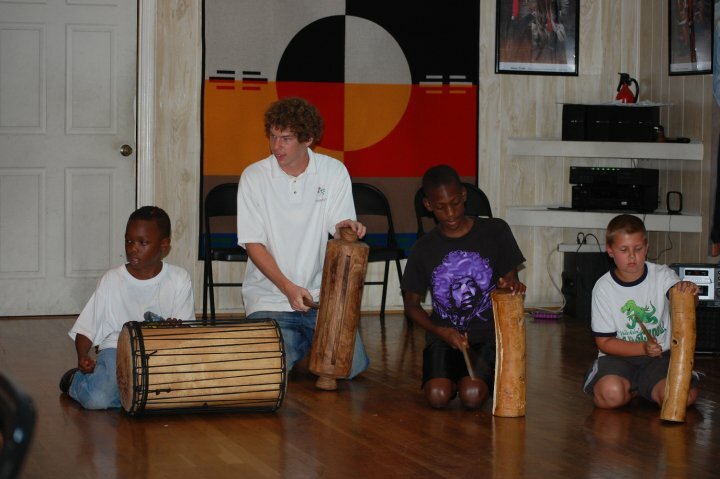 Through our work, the Global Education Center has found that one of the most unifying elements for cross-cultural understanding and respect is the drum. Percussion instruments, the drum in particular, are the oldest instruments in the World and have been used throughout all time by most cultures at some point in their development. From the earliest log drums to the contemporary drums of today, the voice of the drum continues to tell the stories of all people. Whether used in rituals and traditional ceremonies or in contemporary celebrations and performances, the drum evokes a power that can move us to tears or inspire us to rise on our feet and dance in jubilation. ​For more information about Global Education Center drummers for your school, learning center or community organization, please click here. ​The Global Education Center has a diverse roster of resident and affiliate artists who are available for classes, workshops, lecture-demonstrations and performances in area schools. 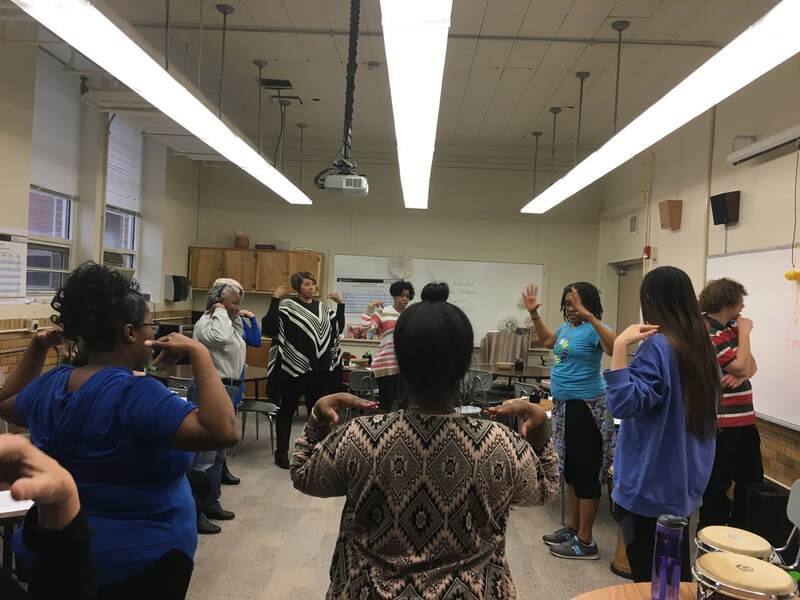 These classroom presentations are great interactive engagements that can help bring diverse cultures to life and create cultural awareness and understanding that is needed to create a culturally sensitive classroom community. For more information about Global Education Center dancers for your school, learning center or community organization, please click here. Global Education Center is praised as a national model for multicultural arts integration. Through leadership and guidance from our Executive Director, Ellen Gilbert, who has more than 40 years of expertise and experience in early childhood education and anti-bias work, our work not only brings diverse art forms to the classroom, but helps teachers and administrators create culturally sensitive and welcoming classrooms. Culture boxes are interactive classroom resources that contain artifacts, books, toys, games, clothing, instruments and/or music from specific cultures. 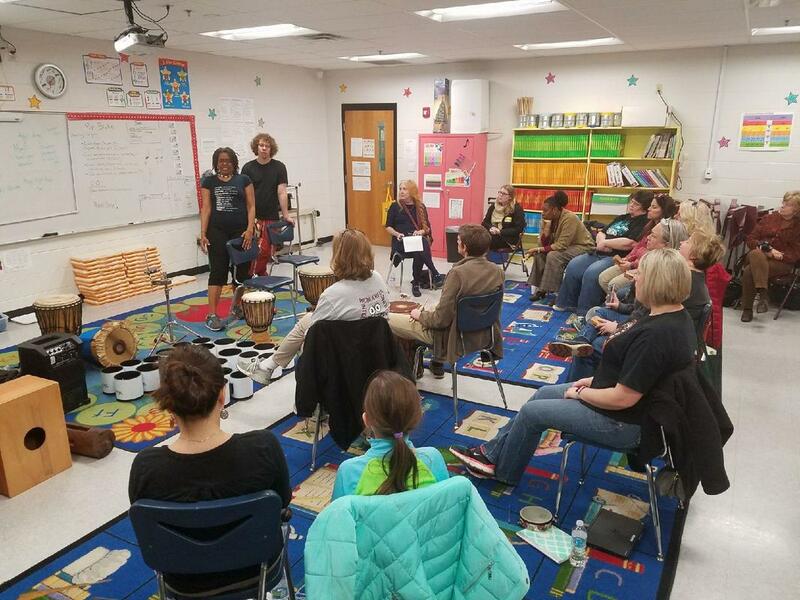 These all-in-one programs can be used in conjunction with a Global Education Center assembly and/or drum/dance residency or as stand-alone opportunities to share diverse art forms within the classroom. For more information about culture boxes and how to acquire one for your classroom, please click here. For more information about the Passport to Understanding program, please email Executive Director, Ellen Gilbert by clicking here. You can also download our Passport to Understanding brochure by clicking here.